It feels like every trip improves with new scenery, wildlife and conversations. Today we finished another training trip, this time with Erin and Emily. Like usual we saw many Great Blue Herons, but this time we saw a hawk carrying a big fish back to it's nest just after a huge Bald Eagle flew over our heads! The huge bird was only about 20 feet away! Taking newbies through the lock is probably one of my favorite parts of the full Paddle Pub trip. The Army Corp of Engineers who operate the dam are usually pleasantly surprised to see our little group enjoying their prized machine. This is the first of 29 dams before the Gulf of Mexico. 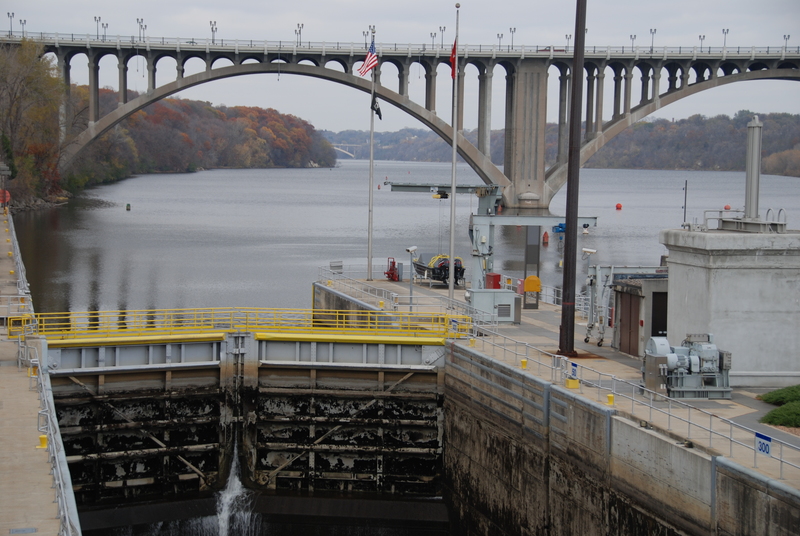 Each year more than 2 million tons of cargo and more than 6,000 recreational crafts pass through the lock. Made in 1917, this really is a man-made marvel!